For a blog called “Living the Questions” I’m a little taken aback at the smugness of this post. It is simply not the case at all that most evangelicals have a gospel that is about fear and threat of hell. That is a wild stereotype that might apply to some of the more extreme versions of 19th century revivalism, which, at such extremes, was itself an aberration on the evangelical witness. The version of evangelicalism you create in your article is a straw man at best, and at worst almost entirely unrecognizable to genuine evangelicals today. Your caricature of folks in megachurches is likewise far from reality. Megachurches do not become “mega” way by preaching hate or a God out to get us all except for those who believe exactly the right things in exactly the right ways. They tend to have so many people in them precisely because they preach a much more positive view of God where folks can find themselves affirmed, supported and even, yes, challenged at least a bit, to love God and their neighbors better than they do now. The politics of loving neighbors in evangelical and megachurch contexts tends not to match the politics of progressives and mainlines– religious or otherwise. But the central concerns are the same. So I don’t see Rob Bell switching sides here. His has not actually become “progressive” in his interpretation of the faith at all. I see him being deeply evangelical in the megachurch tradition that has its roots in a positive gospel, a gospel of love for God, deliverance from the power of sin and death (in this life). and genuine love for neighbor translated into deeds. 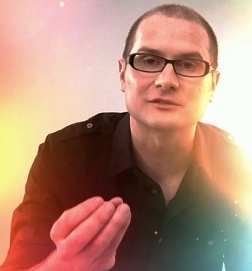 Was Rob Bell not welcome before? Heaven and Hell (promoting the Kingdom of God as a yet-to-be existence) is safer than dealing with a Kingdom of God that is already here and has always been here – ever since the first time a human realized there is “more” to the universe than what can be touched. I wish I had written the response above, and said the things Diana Butler Bass said. Actually, I have, in other places, but probably not so simply and straight forwardly as these two authors. Thank you both for a clarification of the difference between those who FOLLOW Jesus and those who think they believe the right theological propositions about him. What churches do you recommend would be most open to Ron Bell’s ideas? I am very interested in knowing more about this message, makes much more sense to me than what I have been taught by churches I have attended in the past.